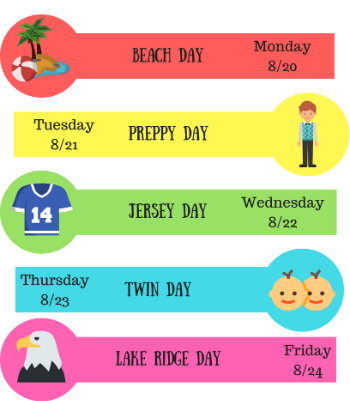 Lake Ridge students and faculty show your school spirit and participate in our Spirit Kick-Off Week starting Monday, August 20th. The first Key Club meeting of the year will be held Wednesday, August 22nd in the library at 3:00 p.m. Hope to see you there. UIL is starting early this year, and we will have our first meeting this Wednesday on August 22nd. If you are interested in competing academically come by room A-259 (Mr. G's room) on Wednesday at 3:20 p.m. If you attended TCC summer school, you must turn in your TCC textbooks now to Mr. Romaguera. Please see Mr. Romaguera in office A-201 or the bookroom. Fines will be assessed for any missing books, please return your TCC summer books to avoid fines. 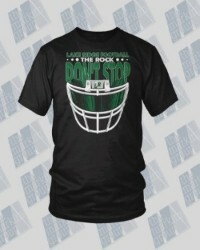 Football Fan shirts are now on sale. Long and short sleeve shirts are $20 for any size. Find a football player to place your order. Girls' basketball open gym will be every Monday and Wednesday from 3:15-4:15 p.m. in the PE gym. Proper court shoes and appropriate dress are required. Picture days are next week. 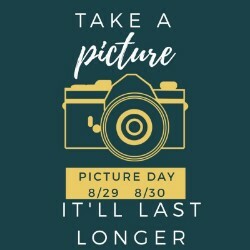 All freshmen, sophomores, and juniors will take their their yearbook photos during social studies class Wednesday, August 29th or Thursday, August 30th. Students who do not have a social studies class will need to get their picture taken during advisory or lunch. Photographers will be set up in the PAC. If you are interested in being the mascot for the 2018-2019 school year, you must come by Ms. Wiesner's room A-318 by Friday, August 24th to sign up for tryouts.